Portfolio Categories: All, Case Studies, Degassing, Mobile Water Treatment, Odor Control, Turnaround Services, and Vapor Control. A Midwest refinery contracted Envent to provide degassing and vapor control services. 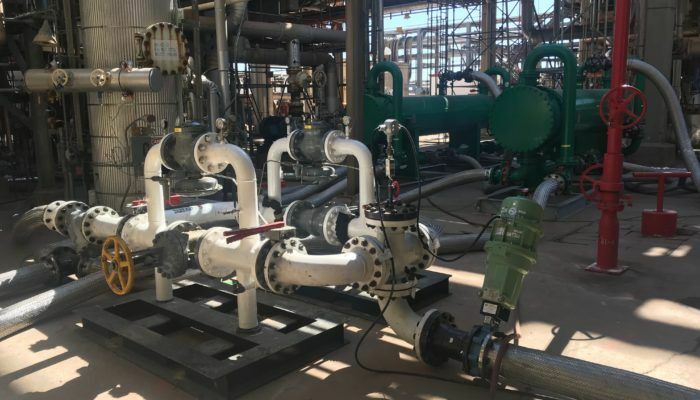 The refinery planned a major turnaround and had multiple critical-path process units that needed industrial degassing and industrial vapor control services for safe entry into process vessels. 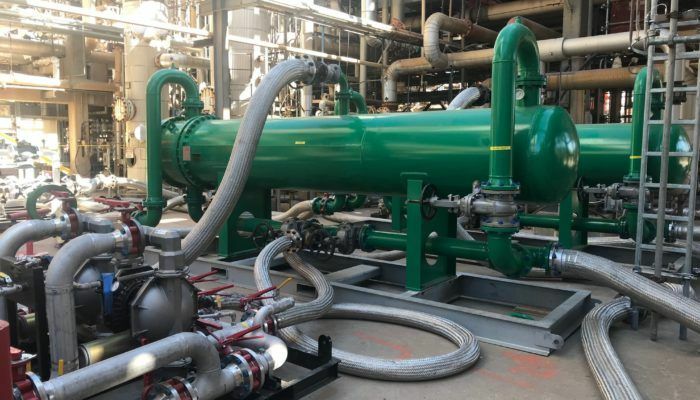 EPAs mandates and RSR vapor control regulations on flareless turnarounds required eliminating flaring activity and capacity of recovery units, an alternative was needed to remove bottlenecks and minimize delays. Envent Turnaround Degassing Services Group engineered solution that included H2S Scrubbers and thermal oxidizers for industrial degassing of vessels and pipe systems. 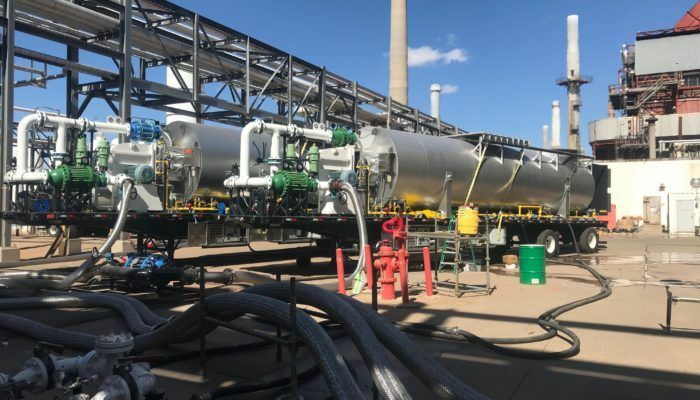 Envent’s engineers worked with the refinery Operations, Turnaround Coordinators, and Environmental group to provide a safe process for vapor freeing using Envent’s mobile degassing systems. The Envent solution included H2S Scrubbers – 2 x ASME-rated circulating scrubbers. 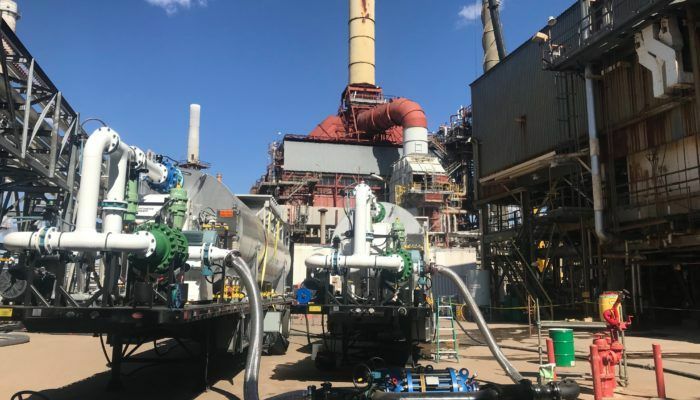 The hot-wash system would receive steam and non-condensable material from the low-pressure system through heat exchangers, knock out vessels, ASME H2S Vapor Scrubbers which would vent to Envent’s Mobile Emission Control Systems (EMECS 70s) the largest mobile vapor control systems. Water collected will be processed through an Envent Mobile Wastewater Treatment System. The results from using this system expedited the decontamination period, prior to a turnaround, from 3 weeks to 7 days.